Many people don’t floss as much as they should. 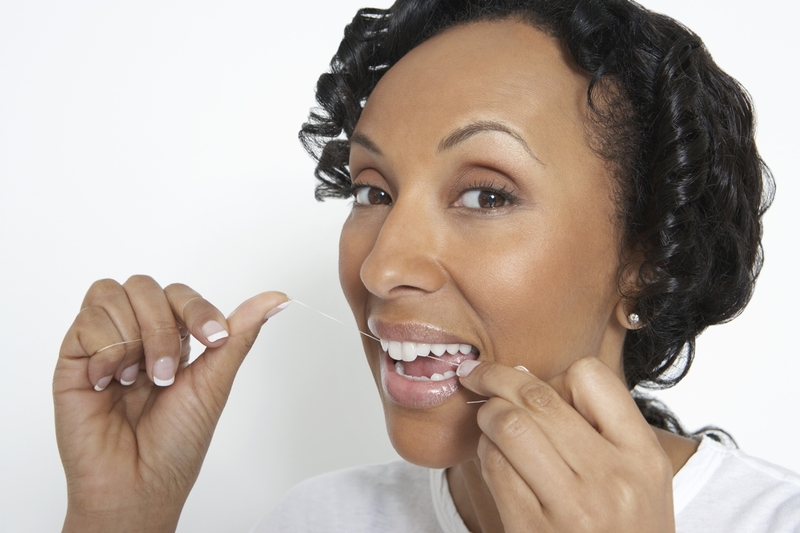 In fact, studies suggest only 40 percent of people are flossing daily as the American Dental Association recommends. And to add to the problem, a recent report from the Associated Press (AP) states that flossing is not proven to be beneficial. Unfortunately, nothing could be further from the truth and as dental health professionals, we are greatly dissatisfied with this misleading news that could ultimately end up harming people’s oral health. The AP report contends that there aren’t enough good research studies done on the benefits of flossing. They say studies haven’t been done on enough people for long enough periods to prove any benefit. This alone, however, is not a reason to skip flossing. The report fails to mention that there are studies on flossing’s ability to decrease bacterial levels in the mouth, including one that was performed on twins. The twins in the study who flossed had significantly lower levels of bacteria that are associated with gum disease than the ones who skipped flossing. We don’t need a study saying that flossing is effective. We already know the facts about why we floss each day. We know that bacteria-laden plaque constantly forms on our teeth. If we don’t remove this plaque, it hardens into tartar, which allows more bacteria to grow in the mouth. Over time, tartar and its associated bacteria can lead to tooth decay and gum disease. Brushing teeth daily gets rid of plaque before it hardens into tartar – but it’s not a perfect solution by itself. And tooth brushing has never been questioned as the way to get your mouth clean. Have you ever looked at your floss after you pull it out from your teeth? Chances are, you can see plaque, food particles, and other debris – even if you just brushed your teeth. The fact is, there are places in your mouth that a toothbrush simply can’t reach. Flossing is the best way to reach those spaces and remove the bacteria and plaque inside. Taking these factors into account, isn’t flossing just good common sense? We clean our hands, hair, or body when it’s dirty. The mouth is no exception. It needs to be cleaned after a day of eating, drinking, and just normal saliva production. If that’s not motivation enough, consider how much fresher your breath can be if you’re not walking around with food and other matter between your teeth: mouthwash won’t mask that smell for long! Use a long piece of floss, about 18 inches. Wrap it around your fingers and hold a small section between your thumbs and forefingers. Insert the floss between two teeth and hug it against the side of one tooth, all the way down to the gum, and move it in an up-and-down motion. Repeat with the other tooth. Do not use a “sawing” side to side motion with the floss. Pull the floss straight up, move to a clean section, and repeat on the next two teeth. If you’re not sure you’re doing it right, ask your dental hygienist! Flossing daily is one of the best things you can do for your mouth. At MedCenter TMJ, we believe excellent oral health habits support the health of your TMJs – and your entire body. Contact our office today to learn how we can help you with TMJ pain!